A couple of fantastic fundraisers for Lyme Disease UK have taken place recently. A massive thanks go to everyone involved! 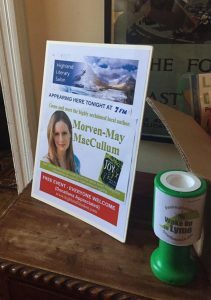 The author of the novel ‘Finding Joy,’ Morven-May MacCallum has been raising some money for us at various literary events. ‘Finding Joy’, is inspired by her own experience of living with Lyme disease and she hopes it can help people to become more aware of Lyme disease. 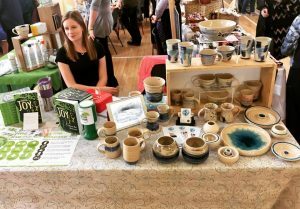 Morven-May also took part in LDUK’s Wake Up to Lyme campaign earlier this year, distributing awareness materials in her community and at book launches. You can find out more about the book in a blog post you can read here. 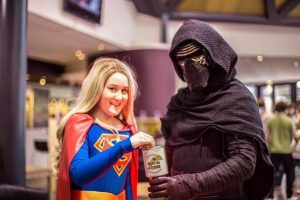 Kris Kirkwood from Cosplay North raised recently raised money for LDUK. Cosplay is a performance art in which participants called ‘Cosplayers’ wear costumes and fashion accessories to represent a specific character. The photo shows players from Cosplay North in their amazing costumes collecting money for LDUK. Thank you so much Cosplay North! For more information about Cosplay North, click on this link to their Facebook page. Thanks go to Graham MacKenzie for the photo.